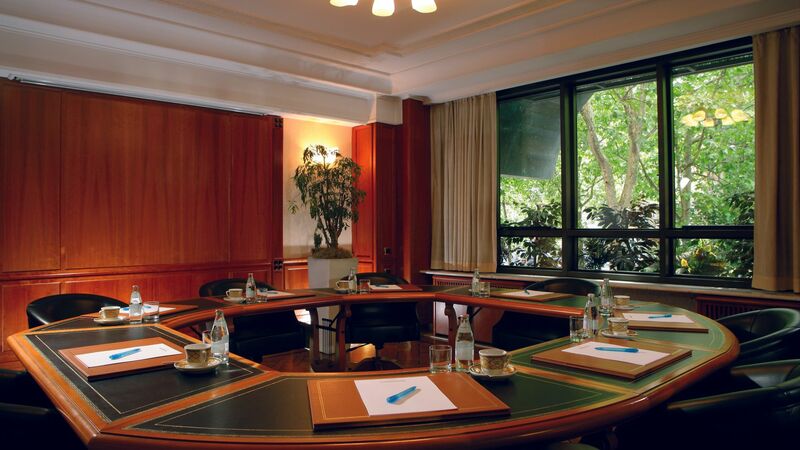 Aimed at smaller meetings that need a prestigious setting, perfect for an intense workday. Embellished by the natural light coming through the tree-lined street, the "Boardroom" provides comfortable seating in leather armchairs arranged around a cheery wood table with leather, an elegant setting for meetings of up to 14 people. You have the most complete and sophisticated equipment: sound amplification, radio microphones, overhead and sheet boards, video projectors with PC interface, large screen wall , lectern, teleconferencing, wi-fi, portable phones.